2019 Jaguar F-PACE luxury performance SUV is feature filled. The exciting new 2019 Jaguar F-PACE S has arrived at Jaguar Colorado Springs! 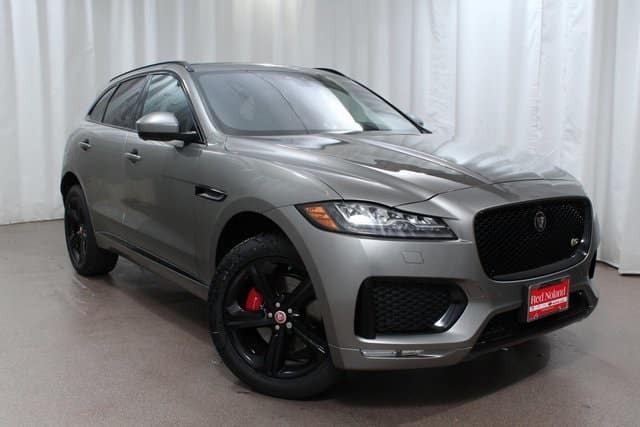 Get to know this stunning premium Silicon Silver all-wheel drive 2019 Jaguar F-PACE S. Powered by a supercharged 380HP 3.0L V6 engine, this comfortable and capable SUV has plenty of acceleration for your daily highway commute. Check out some of the luxury amenities you will enjoy on this new 2019 F-PACE S including premium interior protection package, elegant Satin Ash Burl Veneer, surround camera system, premium drive pack, and convenient head-up display. The Black Pack featuring Gloss Black roof rails and 20” Gloss Black finish wheels, premium Comfort and Convenience Package, emergency brake assist to avoid front and rear collisions, tow hitch receiver, front and rear fog lamps, Sirius XM satellite radio, standard InControl Touch Pro infotainment system with convenient 10-inch touchscreen, and lane-keep assist are exciting features of the F-PACE! Jaguar worked hard to make the popular Jaguar F-PACE even better for 2019! Stop in to Jaguar Colorado Springs today to see why this is the best F-PACE luxury crossover SUV yet!